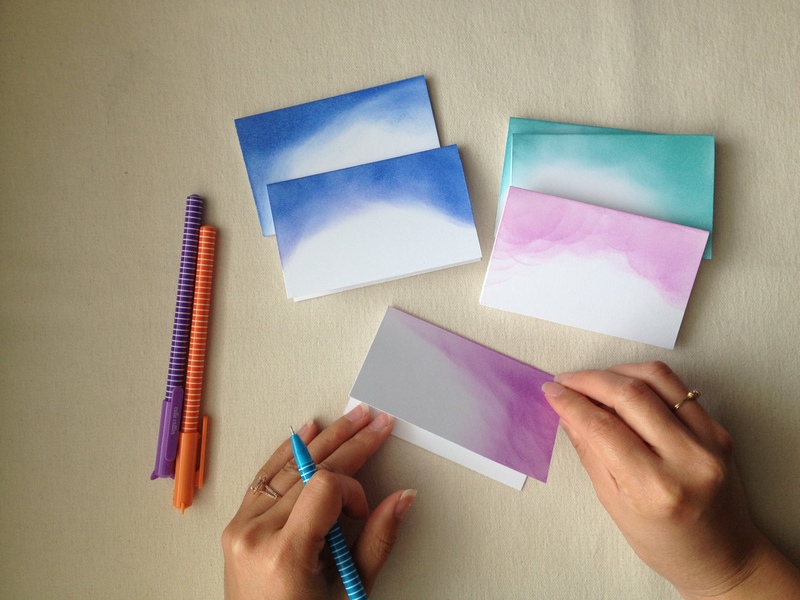 Impress your friends and family with these fancy note cards! I always thought that this look was achieved with watercolor paint, and it can be, but I learned another technique with stamp ink and a foam sponge. Grab some thick cardstock cut to size, scratch paper for making a mess, inks of choice, and a foam sponge – you can also use a make-up sponge. 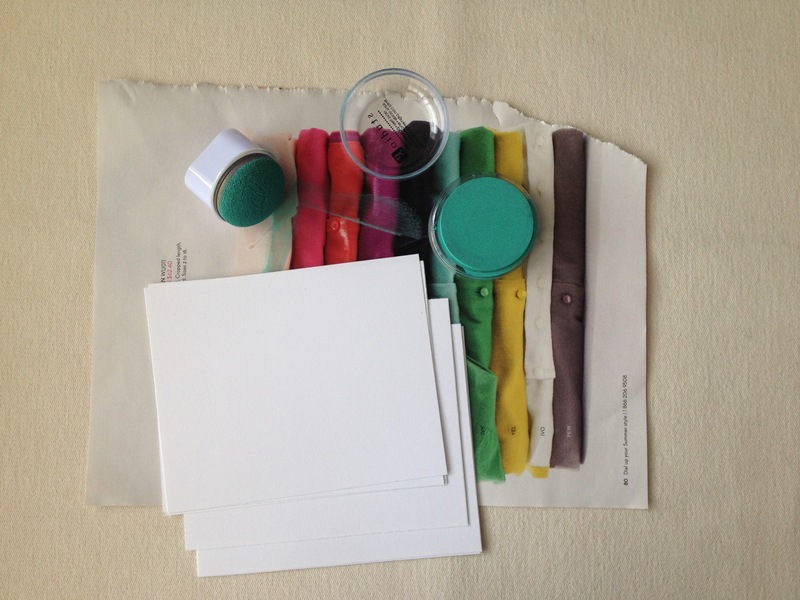 Load up your foam sponge with ink, then blot and drag, or drag and blot, until you get a gradient to your liking. How easy is that? Allow the ink to dry and then write a sweet note. 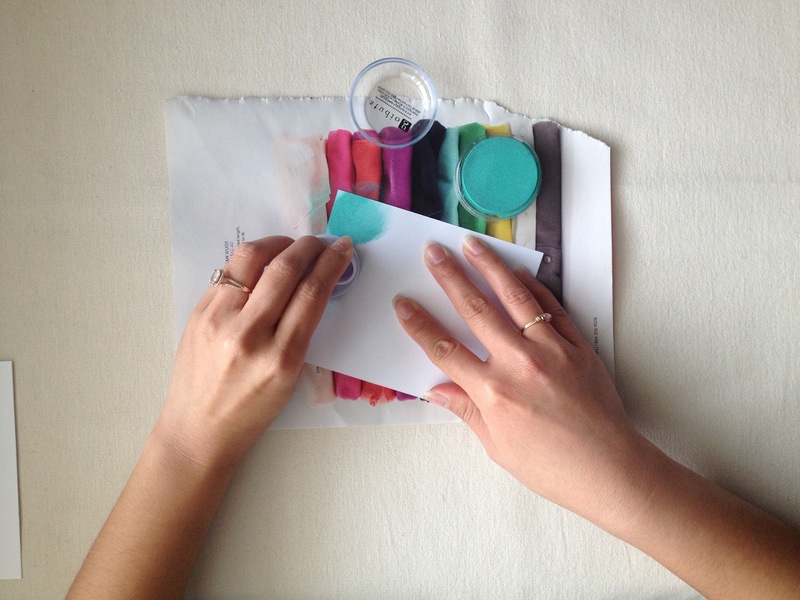 Tip: For the above look, fold your paper first, then add ink. Punch a hole and use as a gift tag. Round the corners for a smooth finish. Hang it up and call it art. Try it out and share your end result on Instagram. Tag @crafterateur for a feature. You go girl. You dazzle me with your creativity. Praise the Lord.